Mobile Access Platforms allow safe access to areas difficult to reach such as machinery, warehouse racking, vehicle maintenance including busses and trains and in welding or plastering applications. 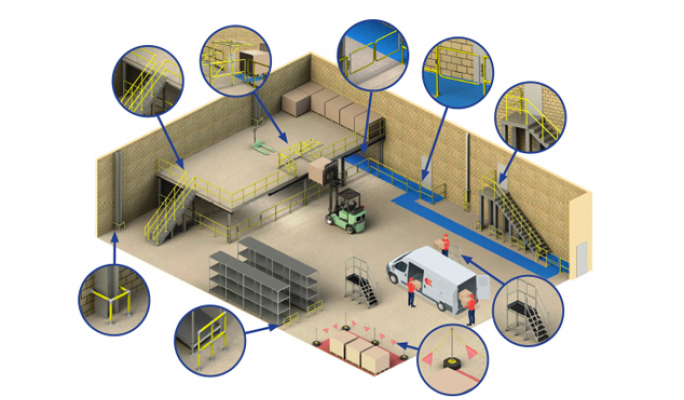 Platforms can be designed to suit any requirement where off-the-shelf fabricated platforms are not applicable or ladders or towers are not appropriate. The engineered designs using modular components allows the platforms to be delivered and constructed quickly and easily with minimal site disruption. Each of our platforms are designed to suit a specific application and is built in accordance with all safety standards. CAD drawings are supplied with each quotation to allow customers to visualize our proposal. If the platform design needs to be modified to fit a different function, Kee Safety can easily re-engineer the existing platform to meet new requirements. All Kee Safety’s access platforms are delivered with drawings to clearly show how to construct the platform. 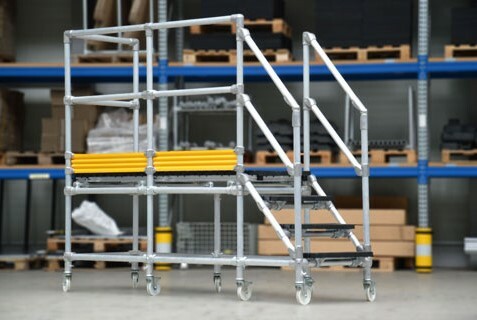 Small platforms can be delivered fully assembled but will require installation inspection before use to ensure complete compliance to safety criteria. Larger platforms are delivered as component parts and will be assembled on site by professional Kee Safety installers.